Chinese snap jaywalkers … then shame or fine them. Building on that success, the Chinese gov’t is now using facial recognition to ID jaywalkers … and then either shame them or fine them. 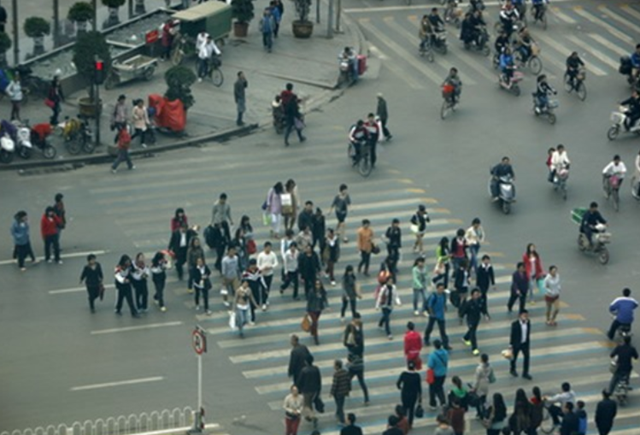 Cities in four Chinese provinces are cracking down on jaywalkers who cross outside of crosswalks … or cross when the “don’t walk” signal is blinking. For openers, they snap photos of the perps and immediately display them on large video billboards. Then, they process the photos with facial recognition software. If they get a match, they post the perp’s identification information on the public screen, too. The police notify the offenders that they been nabbed, and let them choose their punishment: a 20 yuan ($2.93) fine, a 30-minute long traffic safety course and or 20 minutes of assisting police in traffic control. BTW: the info is posted as public record … and could potentially impact the offender’s credit rating and insurance premiums. This entry was posted on April 16, 2018 at 6:59 am and is filed under facial recognition. You can follow any responses to this entry through the RSS 2.0 feed. You can leave a response, or trackback from your own site.